With this government shutdown having a sista home all day, I finally have something to look forward to. SCANDAL is back and I don't know about you, but I'm real excited. There's only a few shows I get excited about watching. Scandal sits at the top of the list of my current batch of favorite shows. 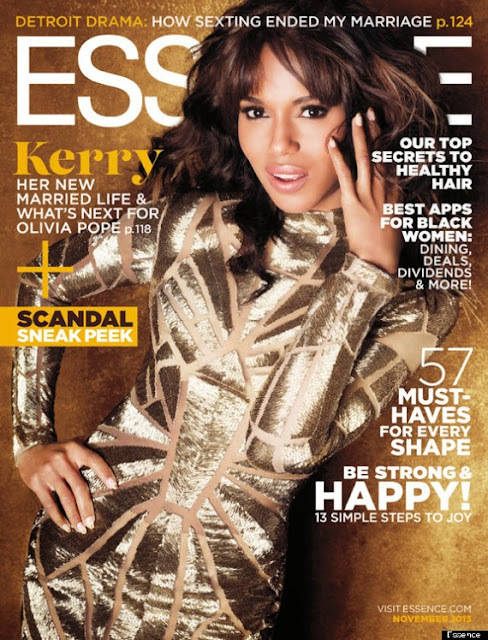 People magazine Best Dressed Woman in the World, Kerry Washington, also covers the November edition of Essence magazine. So, are you as excited as me to watch the premiere of SCANDAL? Please share with me some other shows you are or plan on watching this Fall. SCANDAL airs on ABC at 10pm EST.